Image courtesy of Rob Peetoom. Expands her father’s dream business to Brooklyn! Rob Peetoom is the world famous hair guru from The Netherlands. He treats all of his staff like they are part of the family. Most of his employees join at a young age and stay for a very long time to take advantage of the opportunity to have a stake of a salon or move across the globe to work in other Peetoom salons. 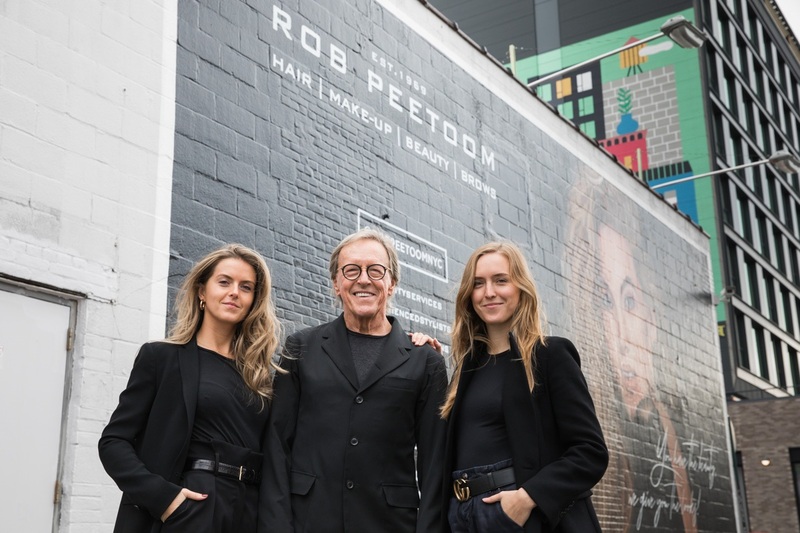 Rob Peetoom salons are renowned in Holland and in Bali, and this is the first time Peetoom has a new salon in the United States! 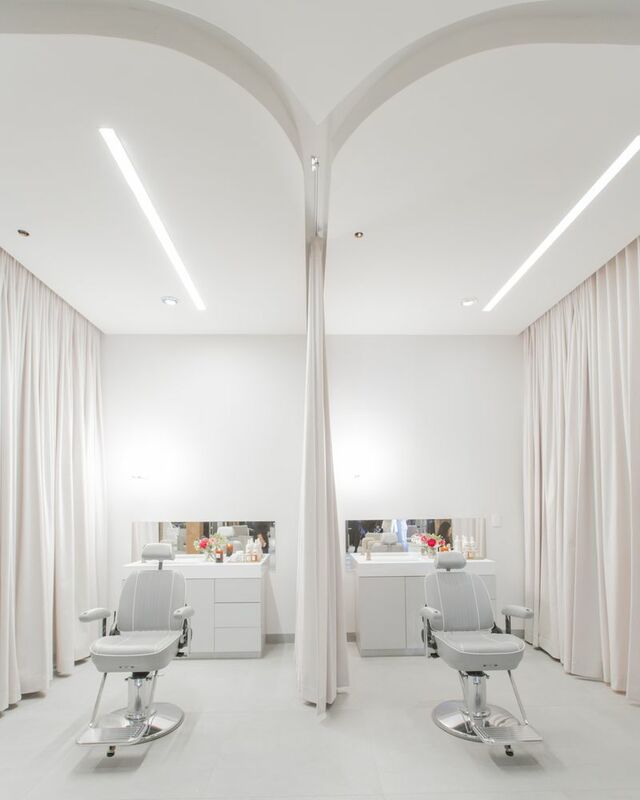 The new beautiful and grand salon opened its doors recently in one of the most electrifying neighborhoods in New York City — Williamsburg, Brooklyn. 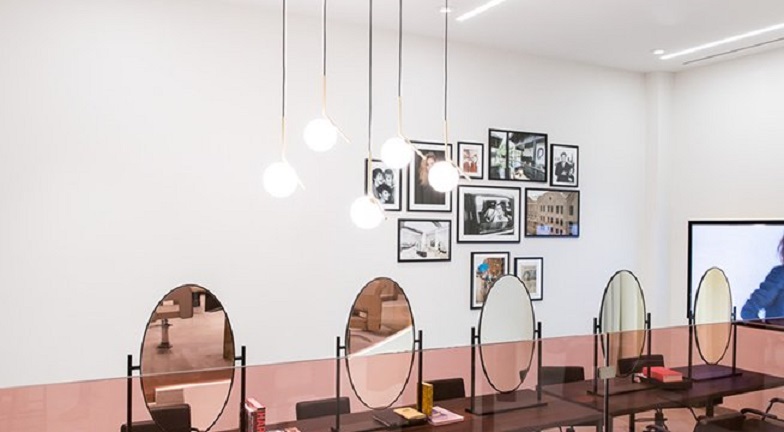 The vibe is relaxing, chic and fun — it’s like that of a beauty salon, coffee shop and a cocktail bar all in one. I hope Rob Peetoom will open up a new salon in Manhattan one day! Williamsburg is no longer known as home of hipsters and starving artists, thanks to family friendly restaurants, trendy boutiques, hotels and cafes. Now it’s also home to new offices, luxury apartments, top tier chains such as Whole Foods and Apple. 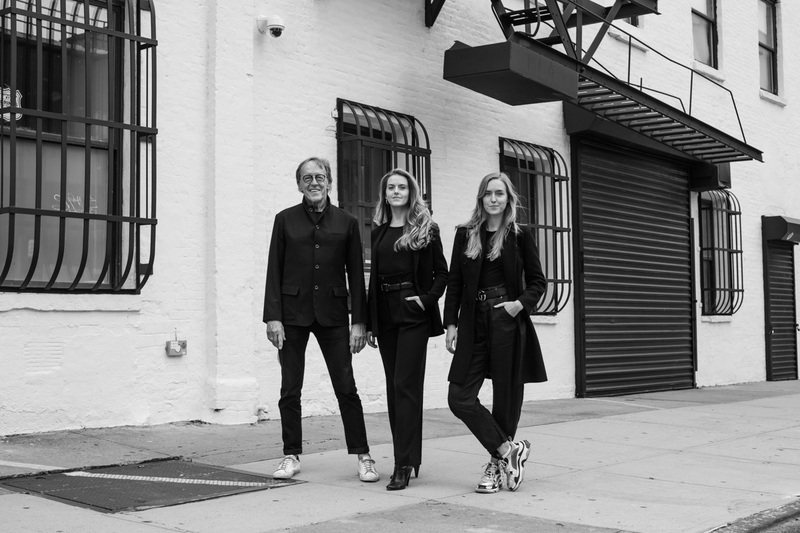 Thus, it’s no surprise renowned international hair expert Rob Peetoom picked Williamsburg, Brooklyn as its next home. At the suggestion of a colleague, I made an appointment for a trim and hair color at Rob Peetoom Williamsburg, located on 101 North 10th Street. I absolutely love my haircut and color! The salon’s ambiance makes me just want to go there with my friends for a beauty retreat on a special occasions such as New Year’s, anniversary, or birthday. 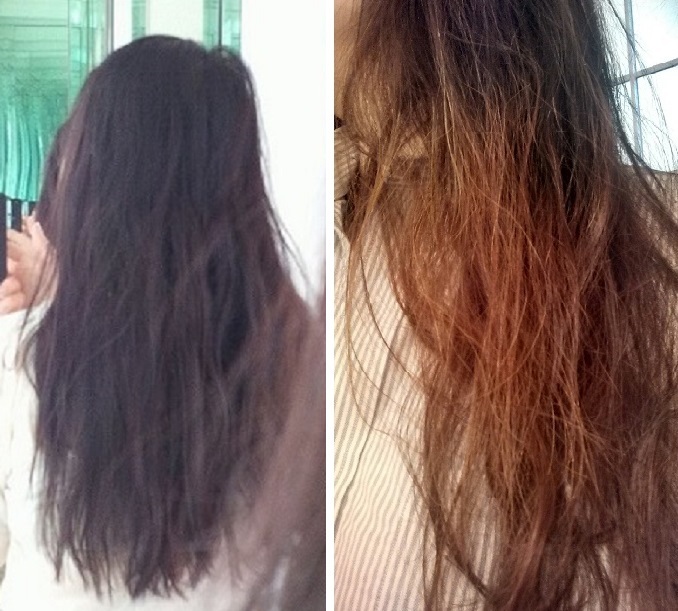 My hair was dry, frizzy and damaged. My brown highlights turned orange. 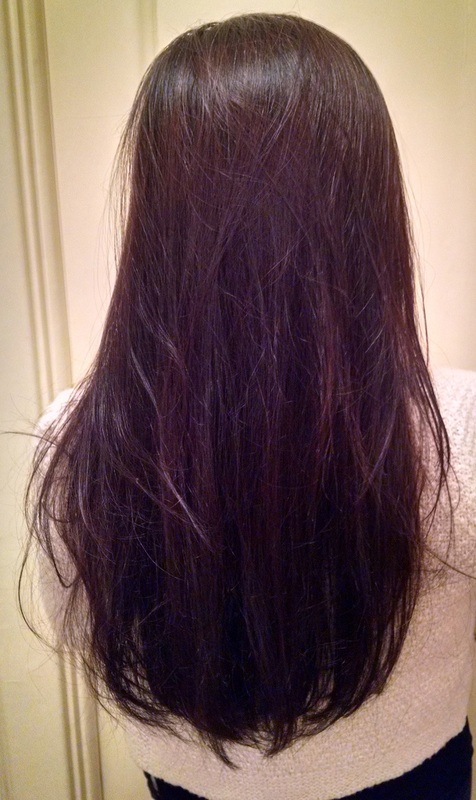 Three days after my trim and color, my hair is still shiny, silky & smooth. I had the wonderful opportunity to meet with Rob Peetoom’s daughter, Savana, who runs the salon in Williamsburg. She was raised in Holland, and spent a lot of time in Australia, Singapore, Spain and Bali. Savana is young, smart, beautiful, and have worked all over the world in the fashion and beauty industries. Now she is here in New York to continue to expand her father’s business. Right to Left: Rochelle, Rob Peetoom and Savana. To learn more about Rob Peetoom’s new salon headquartered in Williamsburg and its owner, check out my interview with Savana Peetoom below. BL: You have worked globally in the fashion and beauty industries. How does New York City compare to the rest of the world? Savana Peetoom: New York is really the aspirational beauty and fashion center of the world. Having experienced the down to earth Holland, the cultural Spain, diverse Singapore and spiritual/tranquil Bali, New York really is a city that has it all. As the city that never sleeps, New York is ever changing just like our business and being part of a place so vibrant with so many different creative people is such a pleasure. I walk around everyday and get inspired by the heartbeat of the city. It is also very refreshing to have so many young people launching new businesses and seeing them work hard inspires me. BL: Is it more challenging to be a female entrepreneur in the United States, then in the other parts of the world? Savana Peetoom: I was raised by a strong entrepreneur (my father) who taught me to be a strong individual regardless of societal gender norms. I don’t think it is the country or part of the world you are in that makes it easier or tougher – I think you personally adapt with your mindset. While there are significant differences in each place I’ve lived, I have always carried the strength and resilience from my entrepreneurial upbringing. BL: You’ve worked all over, and now you’re starting a new business in New York City — the city that never sleeps. How do you relax, and how do you combat burnout/stress? Savana Peetoom: Working for me is something I LOVE – everyday I go to work it never feels like I am “working.” My father always said “If you love what you do, then you never work a day in your life” – and both my sister and I live the same way. But we are all human so after a long day filled with a bustling salon, multiple meetings and great energy I love to wind down with some nightly rituals. Earl grey tea with milk, face masks (Biologique Recherche is my fave!) and watching (I know, cliché) Gilmore Girls, which my sister and I share as our favorite show! I am known to be a vibrant positive person and live day by day. Each day is a new one and I know that stress is a mindset. Even though I love working I always take time to balance it out with a fun filled life. BL: Do you think fashion and beauty, such as what you wear, your hairstyle and your makeup can actually make you happier on the job? Savana Peetoom: I love dressing to impress (but I do that for myself) – I believe that if your hair looks great, with a smile on your face and a little salt and pepper to your outfit, it boosts your confidence and you can conquer anything. I rarely wear make-up, I just couldn’t be bothered. Natural beauty is key and that comes from within, loving yourself, your hair, your skin and fashion choices will make you the happiest in life and on the job. BL: Can you please share with me your company’s corporate culture; ie., how you treat employees like a part of the family, how your employees can have the opportunity to travel, and take advantage of your in-house education program? Savana Peetoom: We run a family business, and at the heart of this business are our people. They are the ones that make the magic happen and therefore their happiness, wellbeing, career perspectives and work environment are crucial. We treat them like they are part of our family because ultimately, they are. Anybody can pick up the phone and call Rob at anytime and he will always pick up. Hierarchy doesn’t exist. Most of our employees join us from a young age and after working with us for 8-10 years, they want a new adventure or opportunity. Therefore we have strategically expanded our salons to the most in-demand places to live, in order to provide a career for our stylists in the beauty industry rather than a job in a salon. They can specialize in education, editorial work, become a future owner of a salon or move across the globe and work in our salons in Bali, New York or Holland and explore the world. I currently have 4 Dutch stylists with me in New York who have more than 40 years of experience combined within our company. We also offer all our people a robust in-house education that we have spent years perfecting at our in-house Advanced Academy program. Our people continue to learn from the first day they arrive to our salon till far beyond Master Stylist level. This is an industry that has continuous growth and opportunity to learn and our company is at the forefront of career advancement.